The carnivore was first seen at Korum Mall located in Samata Nagar around 5.30 am by some persons who alerted police and forest officials. After over six hours of efforts, the forest officials on Wednesday caught a leopard that went strolling at a shopping mall and a hotel in Thane city of Maharashtra, an official said. 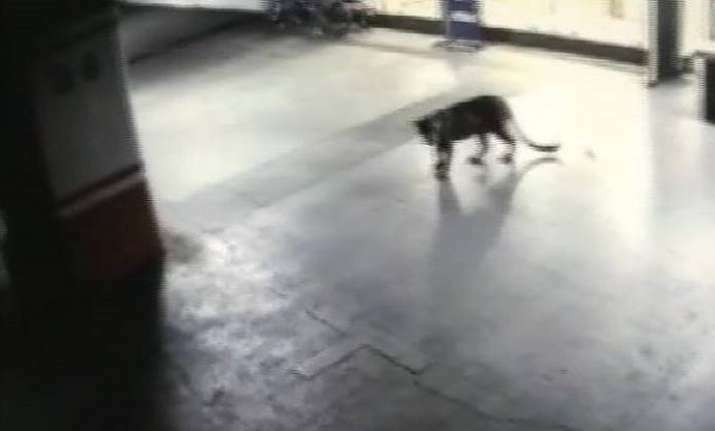 The big cat had entered the premises earlier during the day and was initially thought to be a panther. However, it was later found to be a leopard. According to a senior forest official, the feline was caught from the basement of the hotel located on Pokhran Road around 11.50 am. The leopard was later spotted at a housing complex and then in the basement of the hotel near the mall, he said. The feline was finally tranquilised by the forest officials in the basement of the hotel before taking it away, he added, adding the animal would be released in the Sanjay Gandhi National Park after an examination.